Marzuki Hasan, widely known as Pak Uki, was born in Blang Pidie, Aceh Barat Daya, Indonesia, on May 3, 1943. By the age of seven, he was already quite familiar with many forms of Acehnese traditional arts, like Dike (Dzikr), Ratib Meusekat, Seudati, Pho, Saman, Ratoh Duek, Malelang, and Ba eu (reflection of feelings of self towards others). As a local youngling, learning Acehnese traditional arts was really important at that time. Pak Uki received his first intensive teaching from his mother, who was the leader of Ratoh Meusekat in the village. Pak Uki also enthusiastically involved in many local arts activities in the neighborhood where he grew up, such as Dalail Khairat, Medikee, Ratoh Duek, Rapa’i Debus, Mesyai, Seulaweut (narrative arts based on Islamic stories of Prophets and wisdoms), and Tadarusan. His intense involvement in rituals such as Seudati and Ratoh Duek is often done throughout the day, from afternoon until dawn. At the age of 18, he already mastered the Menseulaweut, Medike, Seudati, Ratoh duek, and the self-inflicting Debus art. 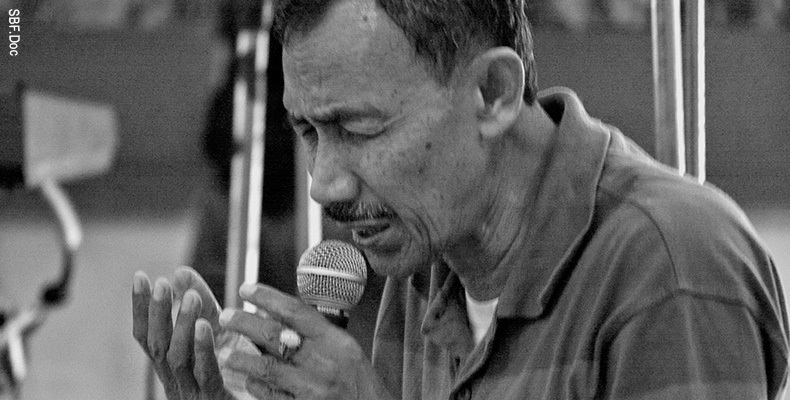 the young Pak Uki had earned reputation as Aneuk Dik—those who mastered the singing or chanting of Acehnese traditional poetry. In 1965, Pak Uki continued his study at Sekolah Tinggi Olahraga (School of Sports Education) in Yogyakarta, Indonesia. About five years later, after completing his studies, he moved to Jakarta. In 1975, he received an offer to teach at Lembaga Pendidikan Kesenian Jakarta (the forerunner of Institut Kesenian Jakarta/Jakarta Institute of The Arts), an institute where he has taught Acehnese traditional dance, especially Saman, since then. Besides teaching, he also gives countless workshops, and performs at various festivals. His warm, modest personality and unique experiences attract people from many regions to learn from and collaborate with him (see “Vox de Cultura – Asian Frequencies”), among others, are Africa (Namibia, South Africa, Zimbabwe, Kenya), West and East Europe, USA, South America, and Asia (Japan, South Korea, Brunei, Thailand). Pak Uki was the recipient of Listen to the World’s “Endurance Awards” in 2013 as a symbol of our grateful recognition for his enduring commitment and dedication to the cultivation of Acehnese arts. For Pak Uki, art isn’t just about doing it for making a living: it’s about total submission to God, spreading conscience, and constant learning; it’s about living it as it is. Quoting from Serrano Sianturi, Pak Uki lives the arts to make a life. LTTW: Acehnese arts are perhaps one among many of Indonesian roots arts that is still unfamiliar to the world; to begin to comprehend it, would you give us insight about the history of Acehnese arts? Marzuki Hasan: There were, of course, the pre-Islamic Acehnese arts which I don’t have enough knowledge to elaborate. I heard little information about the rebab (traditional bowed string instrument) made of goat’s skin that no longer exists today. In the beginning, Acehnese arts were developed by the magistrates and kings. After the arrival of Islam, these court arts were strongly challenged by the Ulama (Islamic religious expert and authority) and/or Teuku (the converted Acehnese Royals), particularly with regards to the negative excess of practices (one example would be the length of time one must spent to perform Saman’s dance routine, which considered to be conflicting with the Islamic prayers time—[Ed.]). The arts then were redeveloped by the Ulama, with the removal of some aspects that may cause such negative implications. Historical records reveal that Saman is a dance form developed by the Ulama of Samaniah as Rapa’i dance originated by the Rapa’iah (a sect within the Sufism-[Ed.]). 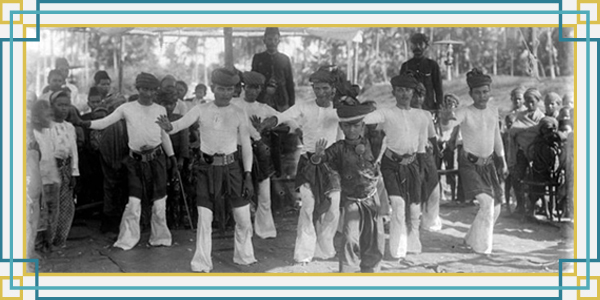 At later time, Rapa’iah doctrine became the roots of all Acehnese traditional folk dances. So, if we speak about the Acehnese traditional dances, we must refer to the values of life, practiced by the Acehnese. Solidarity and living in harmony, for instance, are symbolized by the unison moves of Saman or Rapa’i dance. The dances may look entertaining with its beautiful motifs and colors, but they are loaded not only with symbolized values, but social criticism as well. The influences of Islamic spirituality and religious practice were also revealed in various moves, ones which adopted from the movement of Shalat (daily praying-[Ed.]) and Dzikr (praises to and remembrance of Allah-[Ed.]) rituals. You mentioned about the Islamic influences within the Acehnese traditional dances; how did the Acehnese arts respond to Islam in the beginning? Were there any outside influences other than Islam? The Acehnese arts and culture (that we know today, at some point along the way-[Ed.]) have been practiced and identified as a vehicle to cherish and promote the Islamic values. As such values carried by the arts were advancing throughout all regions of Aceh, it eventually had become the unique ‘belonging’ to the Acehnese. Evidently, there are also Middle Eastern’s and Indian’s influence we can hear within the musical structure; the costume also reflects the Chinese influence that has been in Aceh since the pre-Islamic period. 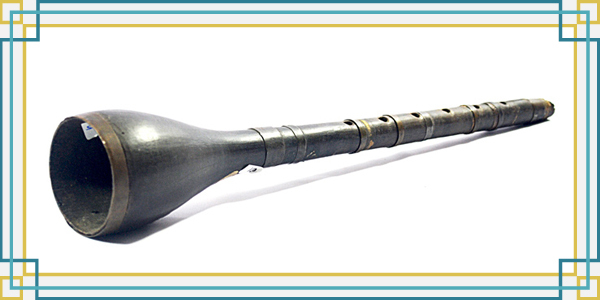 Acehnese unique instrument Serune Kalee (traditional double-reed woodwind instrument-[Ed.]) had also existed long before the arrival of Islam. You have learned and mastered many forms of Acehnese arts, including Saman, Rapa’i, Seudati, Dike, etc. What are the common role(s) and function(s) one should be aware of? So far, I have noticed there are at least three sheltering functions of Acehnese arts, and it depends on where we stand; above all is the religious values, from which it functioned as tools to evoke our inner path to God, to intimate ourselves with God. From the social standpoint, it clearly worked as a bond in social interaction, as does to foster harmony, solidarity, and unity. Then we have the artistry side that should be perceived and practiced as the voice of criticism, the medium for exercising our senses, and forms of deep-rooted entertainment. Certainly, there are various elements and values of Acehness Arts, among them are: heroic spirit, self-control, dynamics, togetherness, discipline, creativeness, humble, melancholy, harmony, and humorous. Within the context of religious values, the Acehnese “performing arts” were developed by the Ulama, and as far as we know, they were not intended to be treated as a show, weren’t they? No, they had always been intended for God; as I mentioned before, the arts are basically a vehicle to intimate ourselves with God—‘to be in love’ with God. There is a popular expression among the Acehnese, which goes something like this: “even if the tongue were broken, the heart would remain speaking the words of Allah”. Since Acehnese arts are very close to Islamic spirituality, many have associated me with the Sufism tradition; which I don’t quite agree with this. I’m still going for some earthly delights—friends, wealth, and such; I am nothing more than a sinner, let alone a Sufi, but I cannot control and determine what people think of me. As for the influence of Islam, the Acehnese arts had indeed incorporated some of the Islamic traditions into its forms; such as gender roles, in which male and female performers must not perform in the same room/area. Inevitably, however, this has changed as time goes by. So such ‘separation’ no longer exists? No! As a matter of fact, many aspects have gone astray. In times when I was growing up learning Saman or Seudati, the Islamic traditions were strictly implemented during the process as part of the Islamic wisdoms that we must exercise within our lives. One example was regarding Meunasah, the learning center attached to the Mosque. The learning activities – mostly on the Quran, then followed by traditional art practices – for male and female apprentices were run under strict separation. When the female apprentices rehearsed the Ratib Meuseukat dance, for instance, no male was allowed to be present. Such a strict rule, however, has been adjusted due to the ‘demands of times’. I need to mention, however, that the strict separation was not at all about discriminating the level of educational importance between and for the two genders; such importance was delivered in equal weight. We mentioned about a couple forms of Acehnese arts, Saman and Seudati in particular. Could you elaborate on their unique features for us? And let’s start with Saman. Aceh has several forms and/or style of Saman dance. There is one type that utilizing body parts as percussive instruments (Saman Gayo, Saman Luko and Ratoh Duek), then there is another that incorporating the traditional frame drum Rapa’i (Likok or Ratoh Pulo), and there is also one using ropes (Ratoh Meutalo). But as for the formation, all of these styles share the same approach; they are all done in a single and straight line sitting formation. This approach is derived from the straightened rows in Islamic mass praying ritual called shaf. The name Saman was taken from Syekh Saman, the man who invented the dance. The term Ratoh, as far as I know, originated from the word Ratib (or Dzikr in Arabic). The sitting formation, and also the moves in Saman, I think are also very much influenced by the sitting and moves when Moslems doing the Dzikr (remembrance of and praises to Allah-[Ed.]). 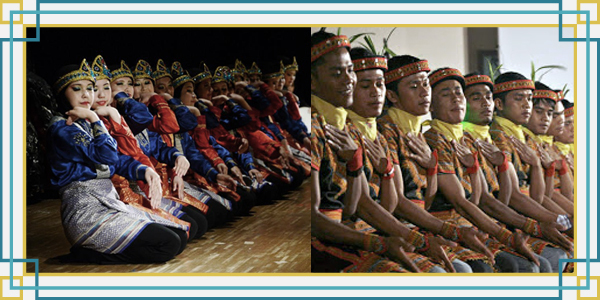 There are other features that differentiate one Saman dance from the other, and one of them is the characteristic on how the dance is executed. Saman Gayo, for example, emphasizes on softness and elasticity as opposed to the Ratoh Duek. This contrast has a lot to do with the difference in their geological settings; Saman Gayo is in the highland surrounding, while Ratoh Duek is situated in the coastal setting. Would you elaborate more on the line-sitting formation? Why do you think it holds such similarity among regions of Aceh? Well, if it’s not in straight line formation, then the energy neither can be developed nor emerged. What do you mean by ‘energy’? Aside from the body movements, Saman also requires highly coordinated singing and body clapping at once; so imagine doing all those in synchronicity, and adding it with the rushing tempo towards the end. The building up of energy of the dance depends on the level of synchronicity reached by the dancers. If one or two persons cannot keep up with others, then the energy will not develop, and no inner soul will be revealed and felt. Power and tempo are two different things having great importance; it would trigger the energy or spirit of the dance. Nowadays, such sense of sacredness often absents since there is no harmony between those two. I once discussed the Saman with the late Mr. Zainuddin of Jakarta Arts Council; he was a specialist on Ratoh by the way. I found out that most of the Saman moves developed by Ulama were derived from the symbols of Islamic alphabet (Alif, Baa, Taa, Tsaa, Jiim, Kha, and so on). So, all we need to do is to seek down to the very core, as the truth is there, and for us to find. What a soothing statement for the heart and mind. Let’s move on to Seudati; is it the same everywhere on Aceh? And how different is it compared to Saman? Seudati in general is the same everywhere on Aceh. The differences lie only on how each group leader, called Syekh, develops his own teaching and patterns of dances. Followings are the common rules of Seudati: it’s led by a Syekh (Sheikh); it consists of eight main performers; and there are specific parts required, including Salam (a brief greeting), Ba’ Saman, Salam Ulam, Likok, and Saman. Compared to Saman’s formation, Seudati features more dynamic moves and more developed floor patterns; it often shapes a chain-like circle, consists of two rows of four performers facing each other. Similar to Saman, the energy is a great importance to Seudati as well, as the circling performers go dancing, singing and clapping in unison with each other. They also must be able to keep up with the quickening tempo toward the end. Every Syekh has to master various songs and dance repertoires—from Likok to Saman—due to Seudati’s rules of competing or ‘battle’; for example, songs that have been sung by a Syekh, shouldn’t be followed by the opposing or contending Syekh. This is the reverse of Saman or Ratoh, in which the Syekh is challenged to follow every move done by the “opponent”. Speaking of Syekh, as you are one, they seem very central to the creation and development of Seudati. What are the significant roles of a Syekh within the group? And what are the roles of other members of the group as well? Ha ha ha…not so sure if I am one; I thought of myself as a student all this time. The term Syekh alone clearly states a vital meaning: a leader, or he who leads. This means that Syekh is the one who sings, dances, and governs the group at once; to do so, a Syekh shall have enough knowledge and experiences, both on aesthetic and management, along with creativity as well. There are also terms for other members of the group, such as Apit Ui’ and Apit Ue’, referring to their position within the row (left, right, or backside). They are of course the Syekh’s supporting roles, perhaps equal to a ‘choir’ in Classical music. What about the format of the “battle” itself? How do you go with it, and how do people respond to it? First and foremost, the battle is intended for dialog building, but at the same time it is also the key entertaining subject to the audience. In the case of Seudati, most issues, especially those relevant to the societies like religion, education, and local-national development, are usually contested before the audience. The excitement among audiences would also arise in sequence with the battle between the respected Syekhs; when this happens, the battle could go on until dawn. It is why each Syekh must possess a versatile vocabulary of pantun (Sumatran poetic form, similar to Hip Hop’s Rapping), also poems, poetry, verses, and such, to make the “show” alive. To me personally, we must all understand that what make the battle entertaining to the audience are the weights of artistry and intellectuality presented by the battling groups. Acehnese arts are very much associated with poems, poetry, and often Quranic verses. How do those narrative creations go with the musical features of Seudati or Saman? In my opinion, poetry is closely related with musical idioms, depends on how we would transmit it within specific rhythm, phrase, tempo, or anything needed at the time. Dynamics, spontaneity, and rich communicative language that make up the nature of poetry are also fit with the breath of Acehnese arts, as they are constantly changing and full of spontaneity. With regard to the poetry, however, it doesn’t really matter anymore once togetherness (in all aspects) has reached its determined level of harmony. As you’ve mentioned before, Acehnese arts are indeed very thick with highly coordinated moves, rhythm, and singing—often called as rampak; why is that? And is rampak equivalent to the Western’s harmony? “Rampak” means ‘flourishing’ in Acehnese; it was inspired by religious aspects and values, as symbolized in every move (head and hand movement, sitting position, and so on), formation, lyrics, singing, and musical structure. Harmony should definitely be “rampak”, and vice versa. Instead, we have to put much emphasis on the meanings of togetherness. As I stated before, togetherness is the determinant factor for reaching such high level of harmony; the level when speed or tempo is no longer relevant. If there is no togetherness, there would be no collective inner soul. It takes time to realize; I’m not sure if one could reach it in a month or two. I’ve always taught to my young apprentices about this issue. Generally, there are three main components that determine what togetherness really is; first is togetherness among the performers, second is togetherness among the Syekh, Aneuk Dik and the performers, and third is togetherness between the performers and the audiences—how they would deeply express themselves before the audiences. Once achieved, the dance will speak louder, as does the stepping on the floor; even the hall would “resonate” this complete togetherness. In this case, we believe that you have your senses all working to master such level; would you share with us how do you build the senses? To begin with, I have to back to basics. We have got to seek for the roots first; after the roots are found, then we shall find the meanings. Sequentially, comprehending and absorbing the meanings will trigger our senses, and then the rest will follow. If we discover what is meant, what is felt, and what we want to share, all of your senses will be active accordingly. Without a required level of exercise, solidarity among us performers, and intense dialog, we would never be able to achieve this. In doing the Acehnese dances, we first must find the meanings behind the contained values and symbols, and build our senses around them. Believe me, once you passed all those steps properly, you would really find the joy in dancing; never think that techniques, speed, and memorizing the routines are all you need. Furthermore, when you are wrong, don’t look at or cheat the performer next to you. Learn from your own mistakes, then improve yourself, and gain confident from it. I always believe that if others can, then why can’t I? Another important aspect, but often left unnoticed, is the breathing technique. Every morning, I used to dive in the river, and screaming and singing underwater. This technique helped me stimulate and developed my senses, and at the same time expanded as well as deepened my perception toward nature. I actually grew up close to nature by doing this exercise. Does spirituality, in that case, determine how you see and perceive things? And what does it take to reach such immense depth as yours? In the context of arts, all performers are able to unify themselves with God, as long as they are in constant practice and exercise of Dzikr in life. The power of repetition in Dzikr is awesome, and therefore one should unleash it. In addition, the lyrical quality of poetry, poem, and Quranic verses should directly touch the heart—the inner energy the body possessed. We all actually have an incredibly immense inner energy that truly represents the power or greatness of the Divine, but I must say that it would take faith and patience to be aware of and to raise it to an applied level. There is a known expression in the Islamic tradition: how close we are to Allah is as close as the distance between the strokes of our breath, but why can’t we find Him? The answer lies in the Dzikr; if we practiced Dzikr with intense concentration, we would eventually find Allah. The concentration basically revolves around how we depart, from what, and what do we return to, and this should be put into practice with the right techniques, attitude, and discipline. Since Dzikr-based art form is all about interrelating the mundane and the sacred, then sincerity and modesty are essential. Again, Dzikr is not attuned merely to the speeding tempo; it should also rhyme with our conscience. Music in general has transformed into a subject that is merely treated as entertaining and income generating activity. Its other roles and functions, along with its spiritual side, continue to disappear. Does this happen to Acehnese arts as well? And how does the young Acehnese respond to this situation? By doing what we believe, those roles and functions can actually be regained. Nowadays, however, arts have been positioned as an economic commodity. So we need to remind ourselves that art is the human’s deepest expression coming out from the heart; therefore, we ought to protect our heart from narrow and misguided perceptions. We shouldn’t be afraid of whatever may come if we practice art the way it should be practiced. Dispirited art is actually the mirror of reality’s confusion. Such confusion not only could leave scars on the skin, but also stab and wound the hearts of humanity. But if only we could observe, analyze, and perceive the art the way we should, the roles and functions of art would self-heal. Unfortunately, only a few have the desire to walk this path, and run for the extra miles. I think the young generation should be aware of the situation and also willing to know, care and do more about it; but I can hardly find one who does. I won’t give up on this though. I, myself still want to know more, to learn more, and to ask more to anyone, anyhow. You have delved into Acehnese arts since childhood, and never once turned to different directions; what makes you believe that this is your life? Perhaps it is inherited from my mother. Although I went to the School of Sport Education instead of art school, and wandered out of Aceh into Yogyakarta before I moved to Jakarta in 1965, I never lost my roots, and never want to. I have no idea why; my passion for singing and dancing never decreases, not even a little. Art has been the world I want to live in all along, never think of any other way. Over the course of my life, I really enjoy making friends, not only with fellow Acehnese, but with everybody. I love asking questions about anything and gaining knowledge from anyone as much as possible. I think the joy in doing so has made me the person I am today. Up to this very day, I never thought of doing anything else but singing, dancing, and sharing all I know with others. I believe this is strongly related to the Islamic values attached to Acehnese arts. As a Moslem, I consider all my action, including doing the arts, as part of my devotion to Allah. Last but not least, Pak Uki, we greatly appreciate your willingness to accept our “Endurance Awards” just recently, and also our request to do this interview; do you have any words for www.listentotheworld.net? Oh yes, I was deeply moved and very surprised by the award. To be honest, what I’ve done all this time is so little compared to others. I’m no more than a traditional artist with very limited knowledge; many of those I even gained from Sacred Bridge Foundation. So, I would like to express my deepest gratitude to friends and families at the Sacred Bridge Foundation.